As the wood warblers swarm north, it may seem odd to have a post that does not concern itself with birds at all. Instead it will celebrate one of the UK’s most spectacular natural events. Our own avian migration cannot compete with that of Northern America, but we can take comfort in the fact that we have Bluebells. Restricted to northern Europe, their real stronghold is in Britain where more than half of the world’s flowers can be seen during early May. 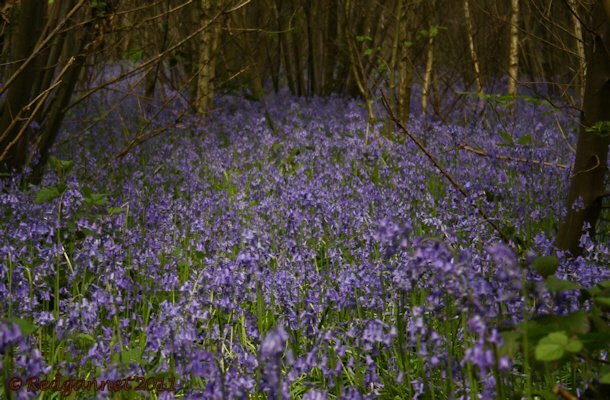 To use the term “carpet of blue” may be cliched, but it perfectly describes the astounding abundance of the gracefully arched flower stems as they cover the woodland floor. 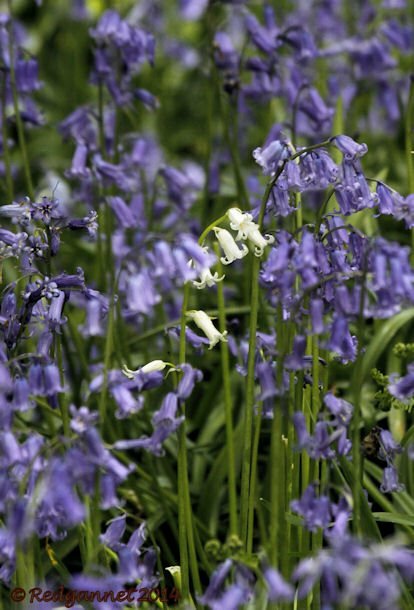 As the ice sheets melted and retreated, British, or Common Bluebells, were able to re-colonise before rising sea-levels separated the area that is now the British Isles from the continent. The English Channel acted as a barrier to prevent other flowers from recovering their former footholds, so our wildflower species count is low, but the blooms are magnificently profuse. 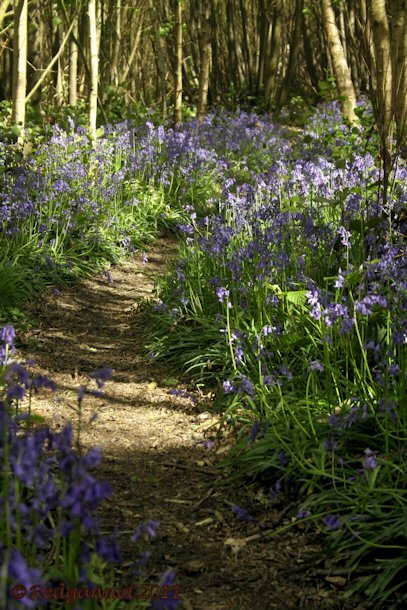 Pathways that wind through bluebell woods are thickly lined with the flower stems of Hyacinthoides non-scripta and a delicate scent fills the air on a warm spring afternoon. True Hyacinths sprang from the blood of the Greek God Apollo and were marked by his tears, so legend tells us. 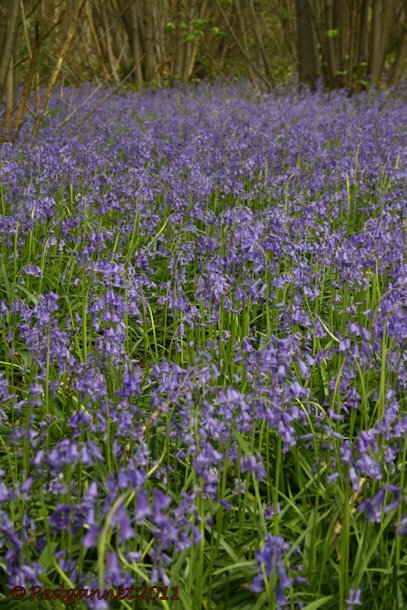 The Bluebell’s specific name, non-scripta (un-marked) differentiates it from the larger, showier true hyacinths and indicates that Apollo must been in a much better humour by the time he visited our cooler climes. Every so often, a mutant gene exerts itself and white bells appear on the flower stem. 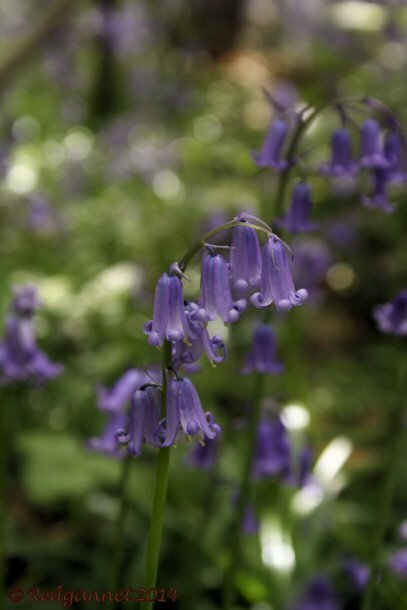 In folklore, Bluebells are closely associated with fairies and pixies. 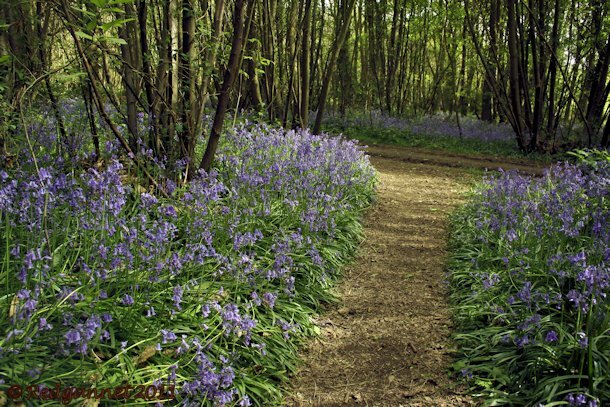 It is said that a child who enters a bluebell wood alone will never be seen again and that anyone who picks a flower will incur the displeasure of the tiny woodland folk. ‘Tis true that anyone who plucks a bloom in modern times will have more than just the pixies to contend with as the flowers are protected by law to prevent people from digging up the bulbs to plant in their own gardens. These pictures were taken in King’s Wood, near Maidstone in Kent. King’s Wood is an ancient woodland of coppiced Sweet Chestnut. 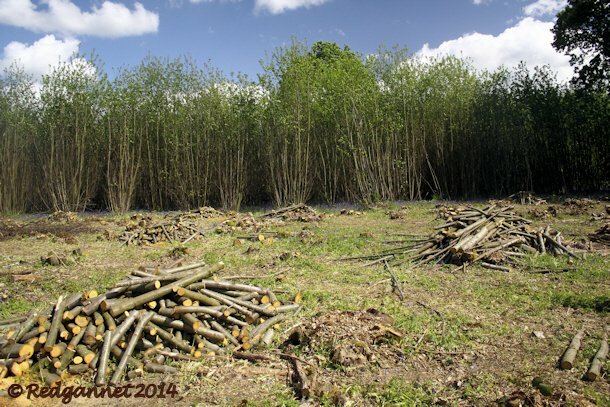 Coppicing is a method of woodland management whereby selected areas of the wood are cyclically harvested and new growth sprouts from the stumps of the old growth. 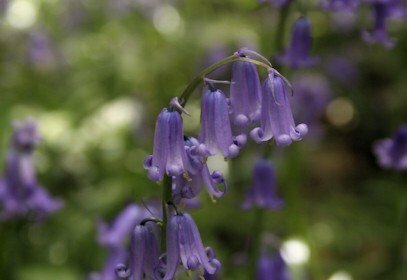 This creates excellent growing conditions for wildflowers and Bluebells in particular seem to thrive. Where Are You Birding This Second Weekend of November 2008? Are Bird Blog Trip Reports Dead?